Music and sounds for 12 short films projected onto a permanent sculpture at the National Museum of Denmark, Kongernes Jelling (UNESCO world heritage site). Created with picaroMedia for Art+Com Studios. Within the permanent exhibition on Danish history, visitors to the ‘Mythology Room’ hear stories that have been handed down orally through the centuries. 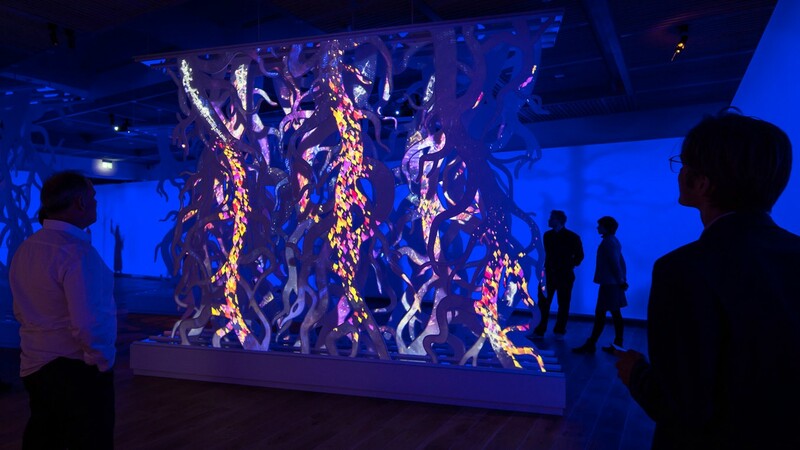 Moving images by M-Box are projected onto a sculpture in the centre of the room that is a reference to Yggdrasil, the Vikings’ mythological tree of life. Music and sound effects pulse in relation to the individual stories and moving images. The walls with silhouettes are backlit and change colour over timed intervals.